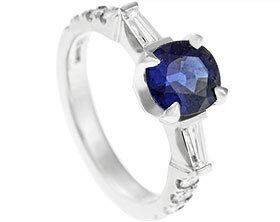 This dramatic 18ct white gold engagement ring holds a beautiful 1.53ct oval cut blue sapphire, which was hand selected by our in-house gemmologist for its bright corn flower blue colour and superb clarity. 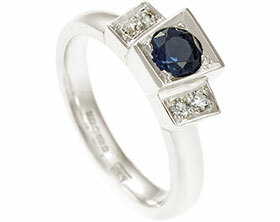 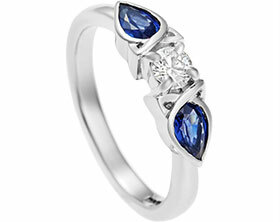 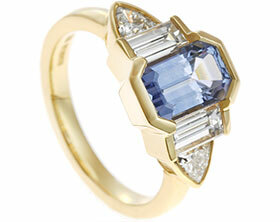 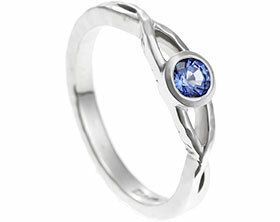 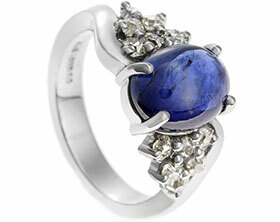 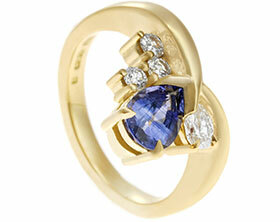 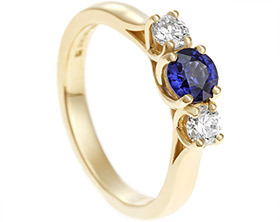 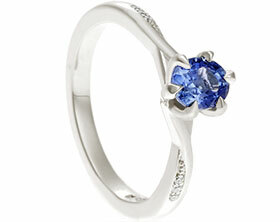 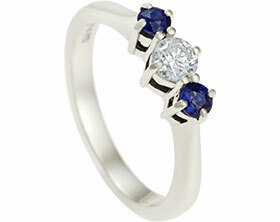 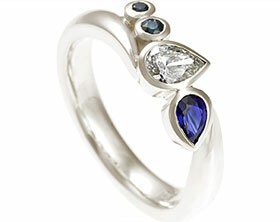 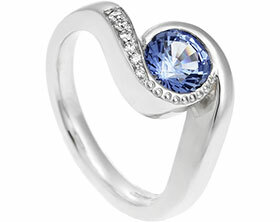 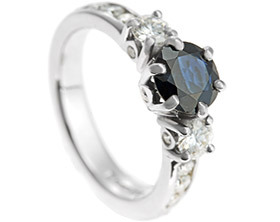 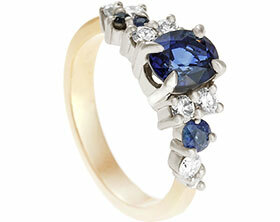 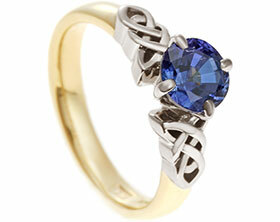 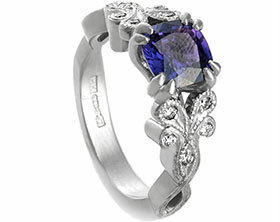 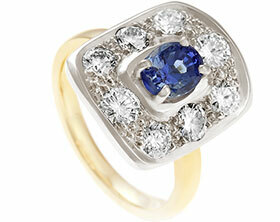 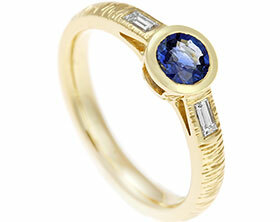 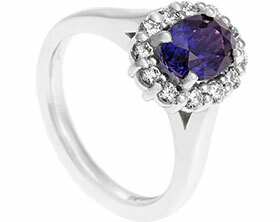 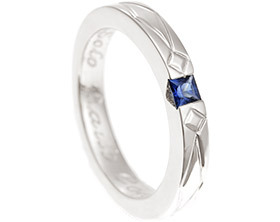 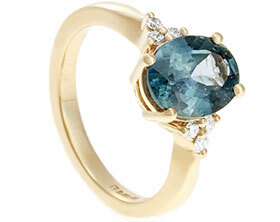 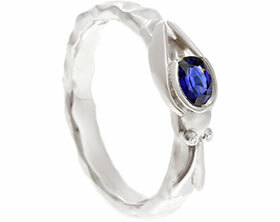 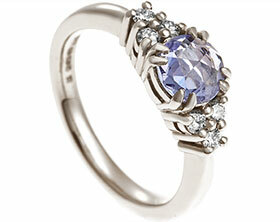 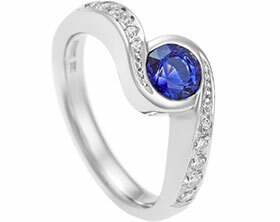 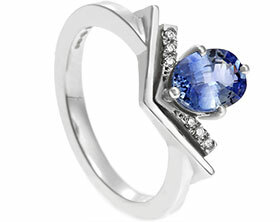 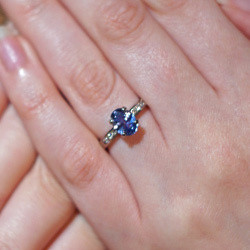 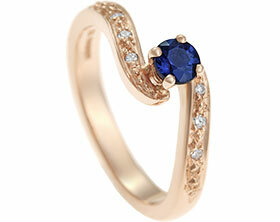 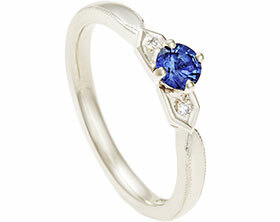 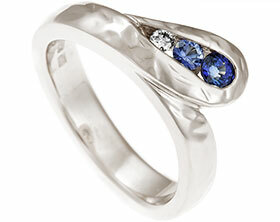 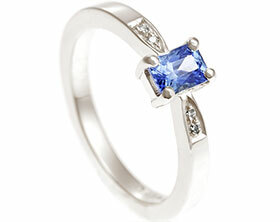 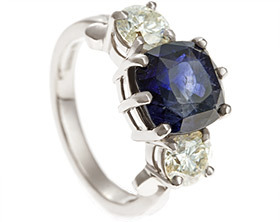 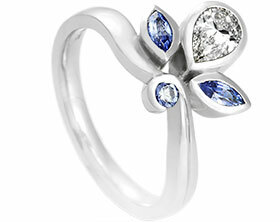 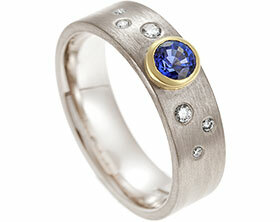 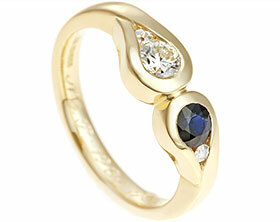 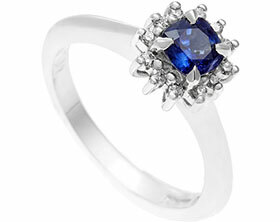 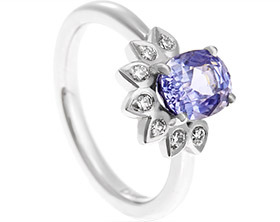 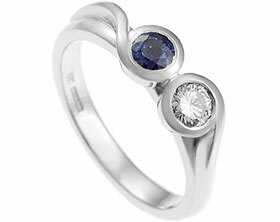 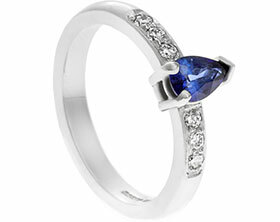 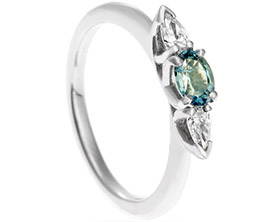 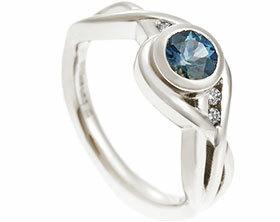 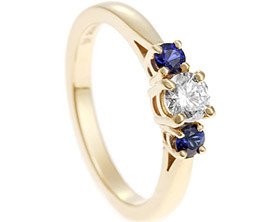 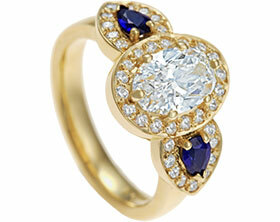 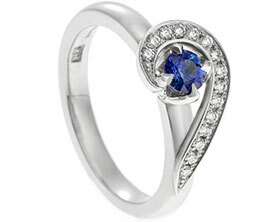 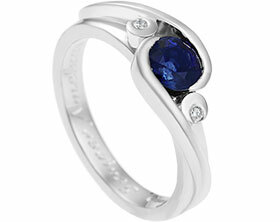 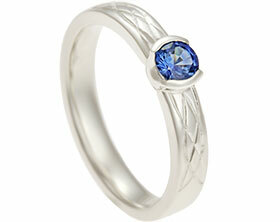 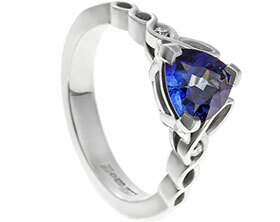 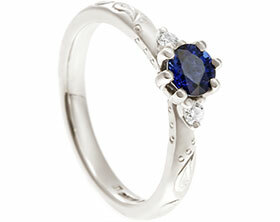 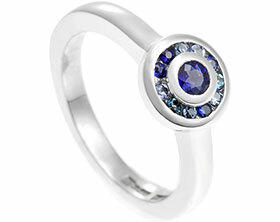 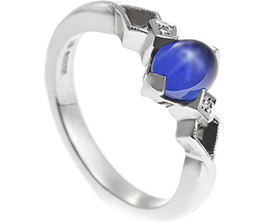 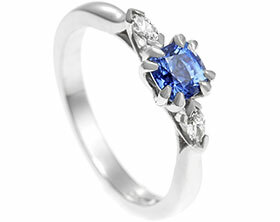 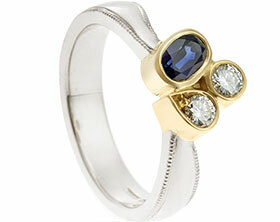 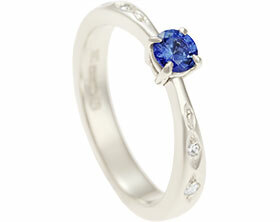 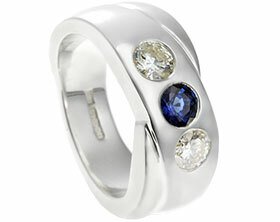 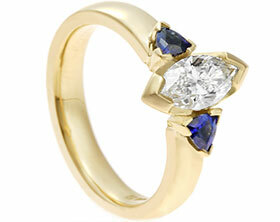 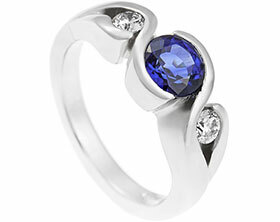 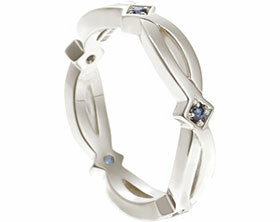 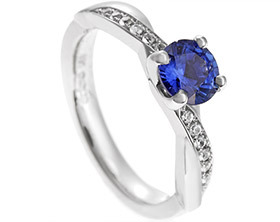 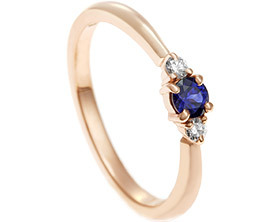 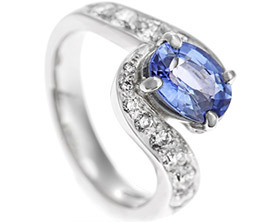 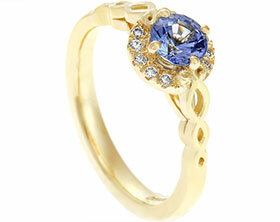 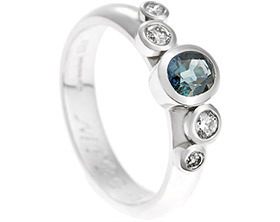 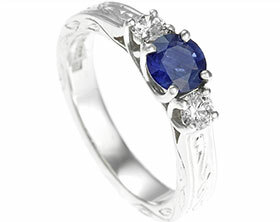 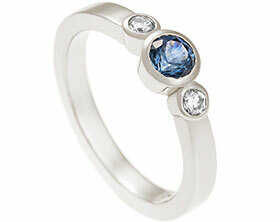 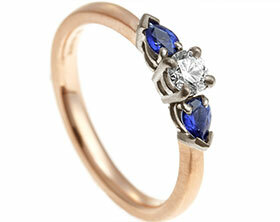 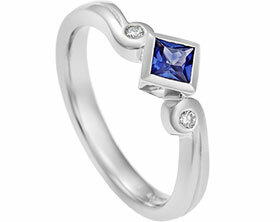 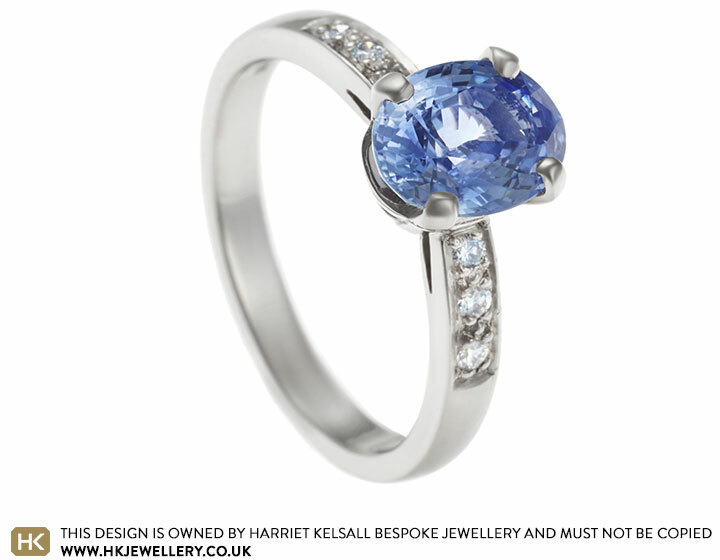 The sapphire has been set into a delicate four claw setting, as Tom wanted to display as much of the stone as possible. 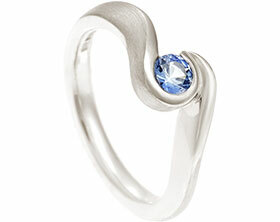 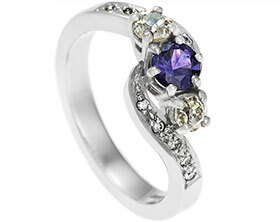 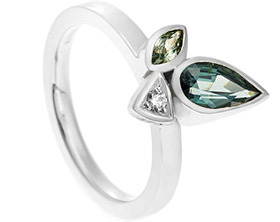 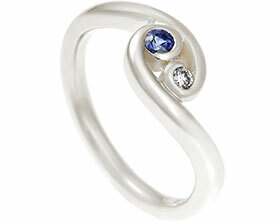 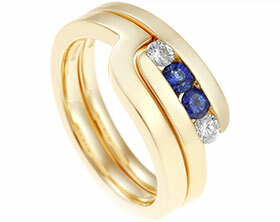 The delicate band splits and deepens towards the front to create an elegant side view. 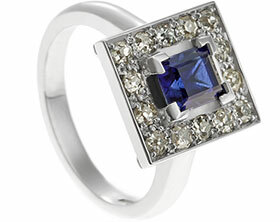 Finally we have pave set three brilliant cut HSi diamonds (totalling 0.10 carats) either side of the central stone to enhance and breathe life into this unique timeless piece.